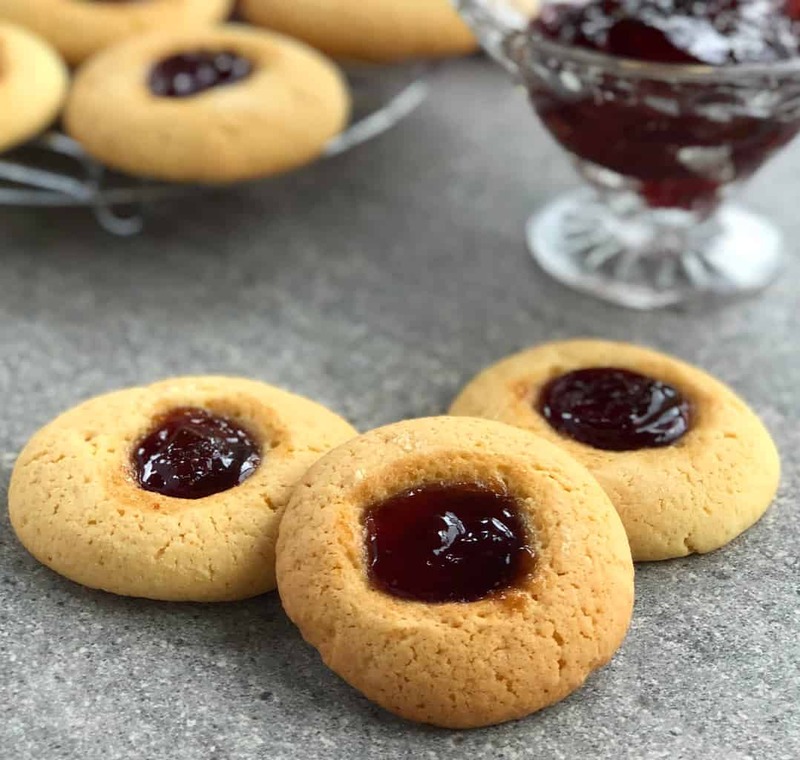 I love a classic little recipe, and this one for Easy Jam Drops definitely fits the bill! Sometimes the most simple recipe can be the best, our grandparents and parents certainly never bothered with having a cupboard full of the latest and greatest ingredients to keep us feed and happy! 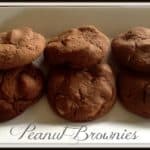 In fact almost every recipe from then contains the same few ingredients in a slightly different format – the end result was always great! Jam Drops are definitely a classic, in fact I am sure I will hear from a lot of you what your variation is. 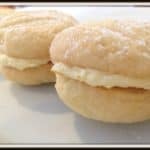 Lovely light, soft buttery biscuit with a simple jam centre. You can get fancy and use different jams such as raspberry and apricot, lemon curd or even chocolate. 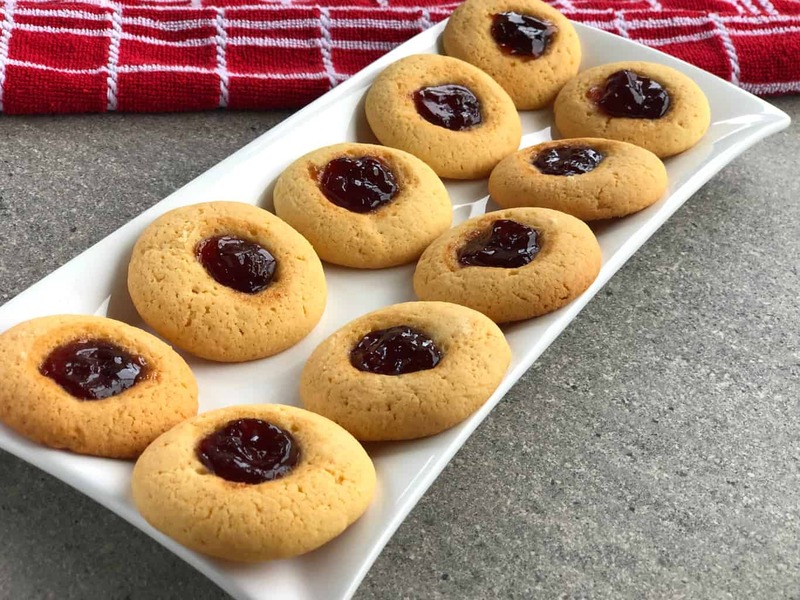 Today I am bringing the classic strawberry jam centre and I love it! Once the jam drop has cooked I add a little more jam to each centre while still hot as I like it to have a good amount of jam! 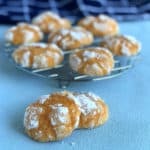 This recipe calls for creaming the butter and sugar, always so much easier to do this in a food mixer so good to know that before starting. The next thing is ideally you want to chill the dough for at least 30 minutes before you work with it. It is a sticky soft dough, beautiful to work with but needs time to chill to make it easier to handle. Then comes the important bit – what is your jam to drop ratio? 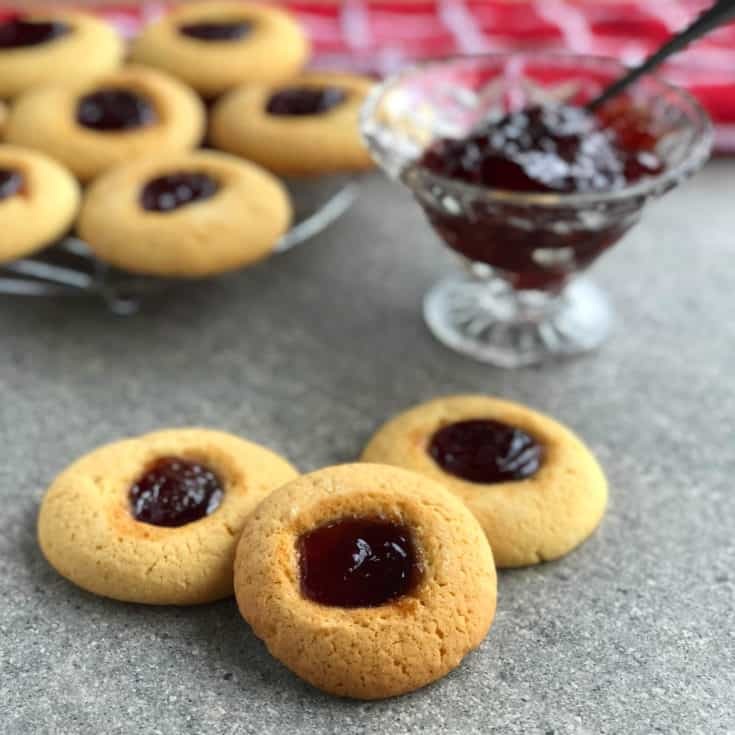 I find that I prefer my jam drops smaller with a nice dollop of jam in them, if when they are baked yours spread or are a little bigger than you would have liked, while still warm you can add a little dollop more of jam. But the biscuit itself is so lovely that it really doesn’t matter. The other tip is to have floured your hands as you handle the dough as it is sticky and this makes it easier to roll. This recipe makes nearly 3 dozen jam drops, so that is sure to last a few days and they keep well to. 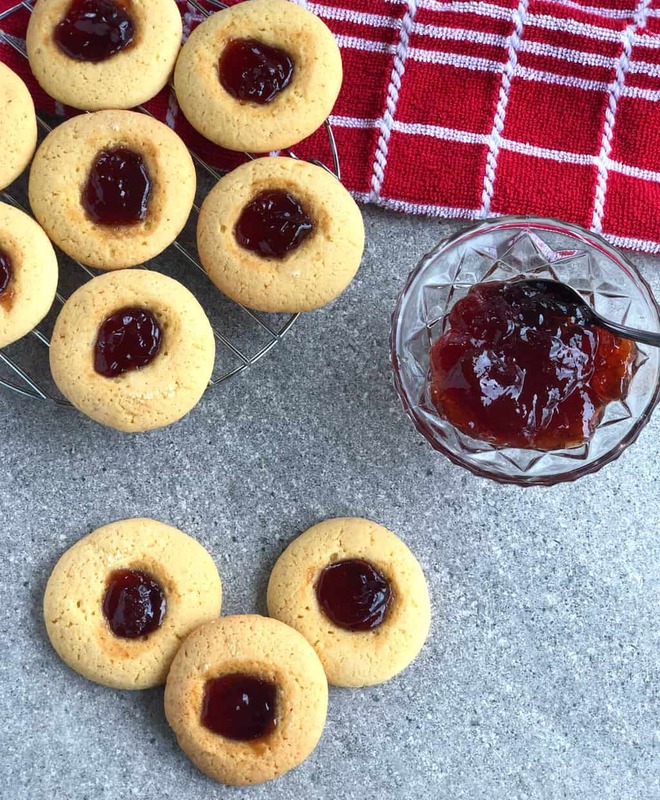 Delicious buttery biscuits with a lovely sweet strawberry jam centre, these will become a firm favourite! Tip the biscuit dough onto a large piece of plastic wrap, cover the dough and refrigerate for at least 30 minutes until it begins to firm up. Repeat until trays are full. You will need to re-flour your hands several times as dough can be sticky. Bake for 15 minutes, allow to cool for 5 minutes on the tray then cool further on a wire rack. It is as easy as that! If you wish you can freeze half the dough for another day.